I have to apologize for the looooong delay between this post and the last one. I’ve unfortunately had a bit of crocheter’s block since I started graduate school since the part of my brain that’s normally coming up with patterns has been busily coming up with experiments instead. That being said, slogging through failed experiment after failed experiment is super discouraging, so I decided I needed an easy project. Just so I could feel like I was progressing steadily in something. And what’s easier than about a zillion rows of garter stitch? But let’s make those zillion rows of garter stitches nerdy, ‘kay? 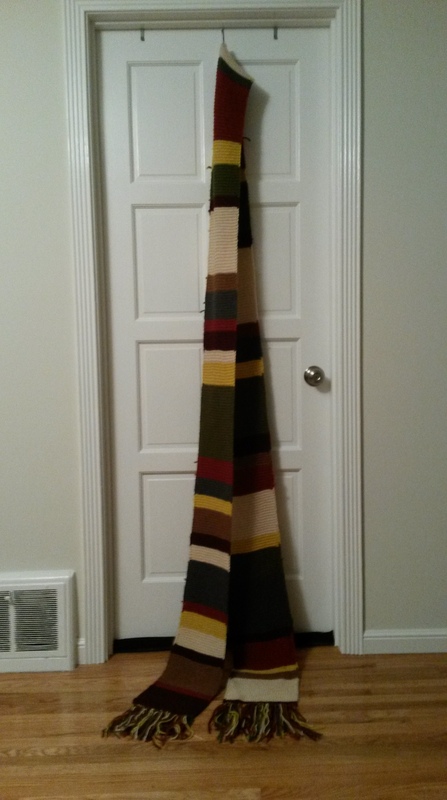 I present to you, my very own Fourth Doctor’s scarf! Let me reiterate: I am a crocheter. I am not a knitter. For the longest time, I couldn’t figure out how to hold the needles properly, let alone do fancy things like increase and decrease. But after about 15 feet of garter stitch, I’m beginning to think I can learn some fancier knitting and tackle more knitting projects. So hopefully I will start posting some of those in the future! 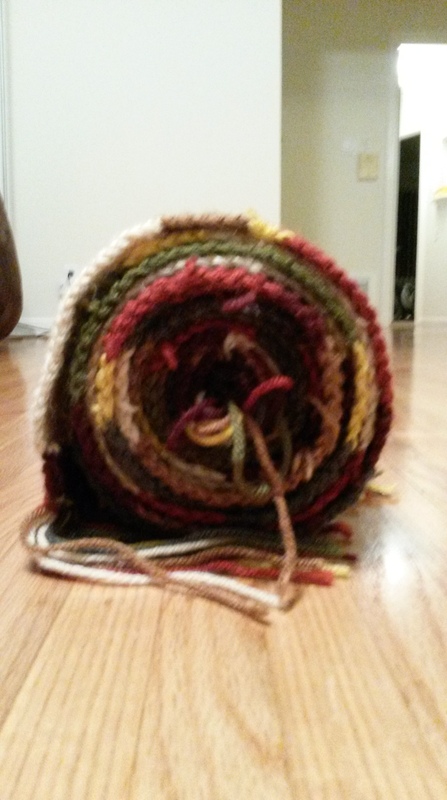 The pattern is from a site literally called http://www.doctorwhoscarf.com/ and the yarn is Vanna’s Choice. The knitting itself wasn’t as dull as you would think. It was mindless enough that I could multitask and I did enjoy watching the scarf grow longer and longer, although turning it at the end of each row got a bit annoying. The bad part came at the end when I had to weave in all those ends. SO MANY ENDS. I think the scarf took an extra month to complete after the actual knitting because I was procrastinating weaving in all the ends. 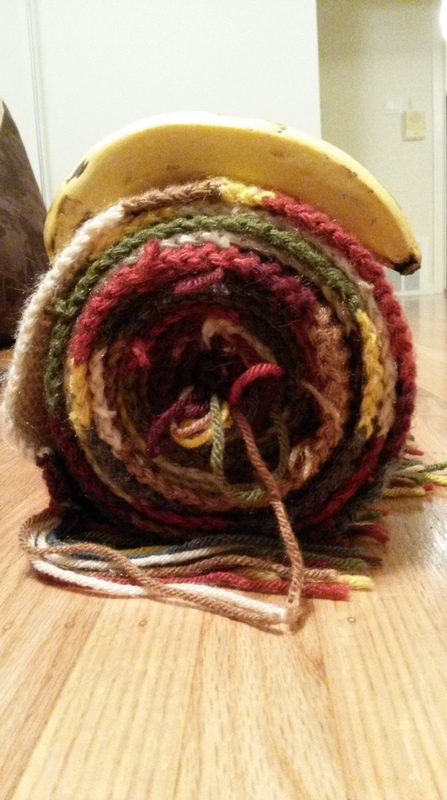 There’s really no use for this scarf where I am since it doesn’t get cold here (also 15 feet is a lot of scarf to manage on a regular basis anyways), but I did loan it to a friend who dressed as the Fourth Doctor for Halloween, so it did get some use. Also it’s just awesome.